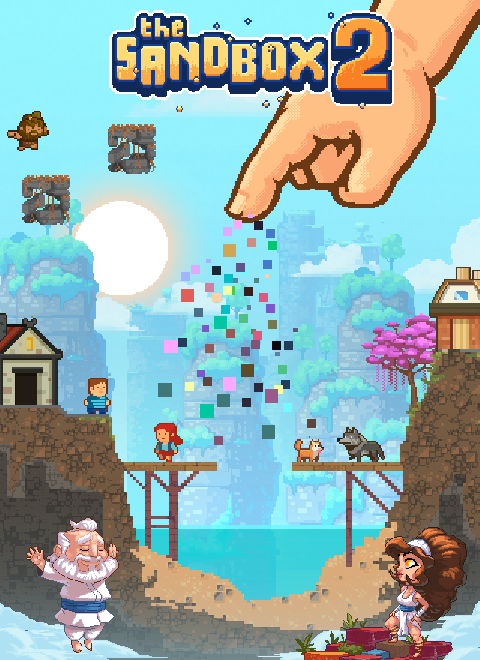 Use your godly powers to craft amazing pixel worlds or destroy the universe! Welcome to The Sandbox Evolution, the #1 pixel art world creation game. Play with physics, over 200 elements and controllable heroes. Make your own games or levels, and then share your creations online. There are no limits to your creativity and imagination! - Click to drop elements, use your keyboard and mouse to zoom and scroll, control heroes with your gaming controller or keyboard. - Create or destroy with your mouse! CREATE YOUR WORLD PIXEL AFTER PIXEL! - NUKE: Arguably mankind's worst invention, this mega-bomb has devastating effects. - TORNADO: A super whirlwind makes everything fly away as you guide it through your worlds! - EARTHQUAKE: Drop an epicenter generator over your worlds to unleash chaos throughout the landscape. - LIGHTNING: Godlike power at your fingertips! Spawn lightning bolts by tapping anywhere. A MAJOR EVOLUTION OVER ITS PREDECESSOR: THE SANDBOX! - easy-to-use game maker that enables players to create a retro-style platformer level in just a matter of seconds!! - over 200 elements (many of them are new and not present in its predecessor) for players to choose from when designing their worlds, to pick between various entities, game-making blocks, platforms, enemies, portals and characters, pixel art drawing colors, and more. - full support for the Steam Controller for players to create worlds and control the heroes characters inside levels made by others players. - Utilize tech like Batteries, Crosswires, Resistance, Bulbs, Heaters, Coolers, LEDs and multiple Sensors - Play with Lasers: click to rotate the angle of the light beam and start creating exciting new pixel universes and puzzles! JOIN OUR COMMUNITY OF 745,000 FANS! Each new Update of The Sandbox Evolution will bring even more elements, heroes and campaigns! You’ll see… no one could ever dream a better world than yours! Download The Sandbox Evolution and build your world today! Our Caveman character swimming underwater and fighting a piranha fish!